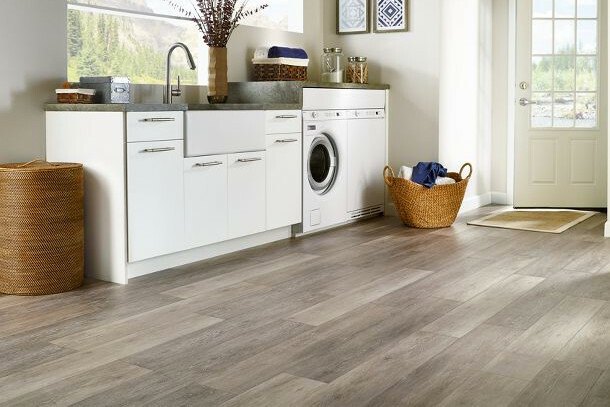 Where Can I Use Vinyl Flooring? You can technically use vinyl in any and every room in the home, both above and below grade. Certainly, for home offices, kitchens, bathrooms, basements, entryways, family rooms, media rooms and kid’s bedrooms/nurseries, a luxury vinyl floor performs great and looks good doing it. In any of these spaces, vinyl floors will shine (bad pun intended). 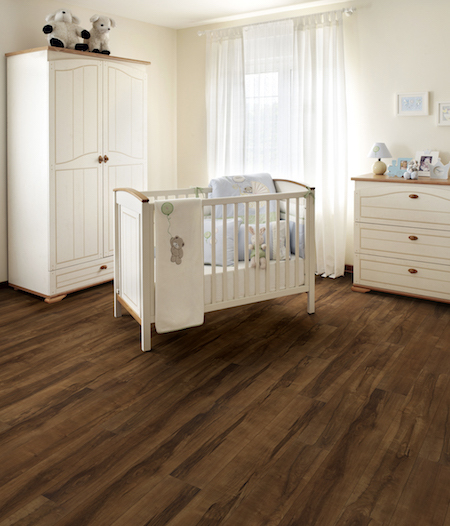 The combination of great looks and high performance along with easy maintenance make vinyl floors a fantastic choice for these rooms. For large, active families (especially those with small children and pets), better LVT and WPC/MLF can deliver the appropriate visuals for any setting. Don't be surprised to see it showing up in more formal areas like dining and living rooms. You don’t have to sacrifice stunning visuals and you certainly won’t sacrifice performance with a vinyl floor, especially at the higher end of the market. Sheet vinyl has great looks that can go anywhere, but I don't recommend it beyond kitchens, baths, home offices, workshops and entryways, although I might consider it for a child’s nursery. Vinyl tile (VCT) is the cheapest option that can stand up to abuses other vinyl products cannot, but I don't recommend it be used outside of basements, maybe back entryways, or perhaps a garage. My daughter, Ashley, put a WPC floor in her basement, transforming it into a family sitting area and children’s play room. She loves it! The kids love it! She chose Coretec Plus XL LVP606 from my friends at USFloors. I think it adds value to the space in terms of both design and function. It completely transformed her basement into a great living space the whole family will enjoy for years to come. Plus, no worries about moisture or even flooding.